I recently experienced some of the best plant-based ice cream I have ever had in my life. Yet I waited until Raincouver was in it’s true chilly and watery form to do it. WHY OH WHY didn’t I spend my entire summer eating all of the vegan ice cream that Earnest Ice Cream has to offer!? I’m filled with regret…I suppose there is always next summer, though. 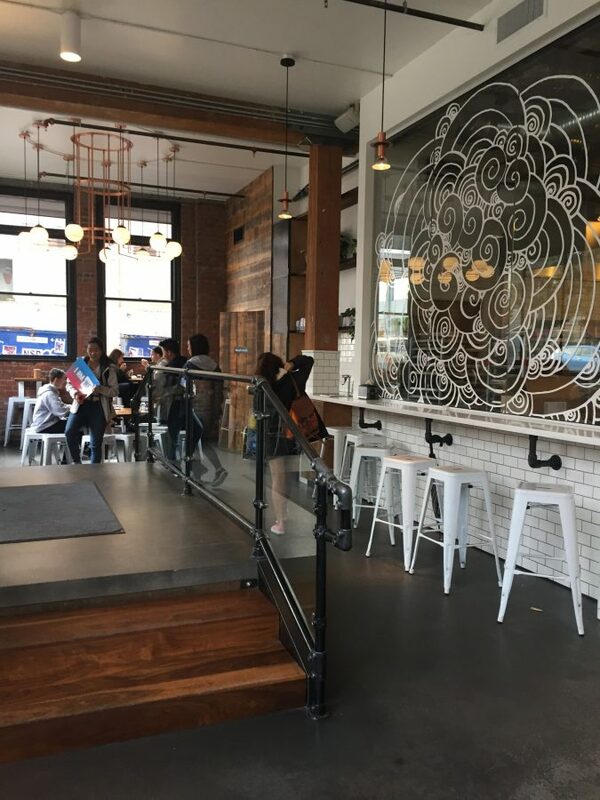 I went to their Quebec Street location and I loved the look of it. With it’s brick walls, heavy wood accents and super sleek and modern countertops and lighting. It has a great vibe! 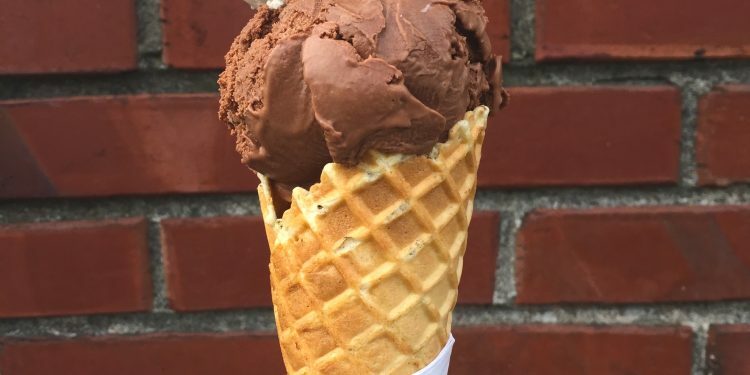 Their ice cream is handmade and with amazing flavours like ‘London Fog’, ‘Whiskey Hazelnut’ and ‘Pumpkin Spice’ it’s not an easy choice to make. 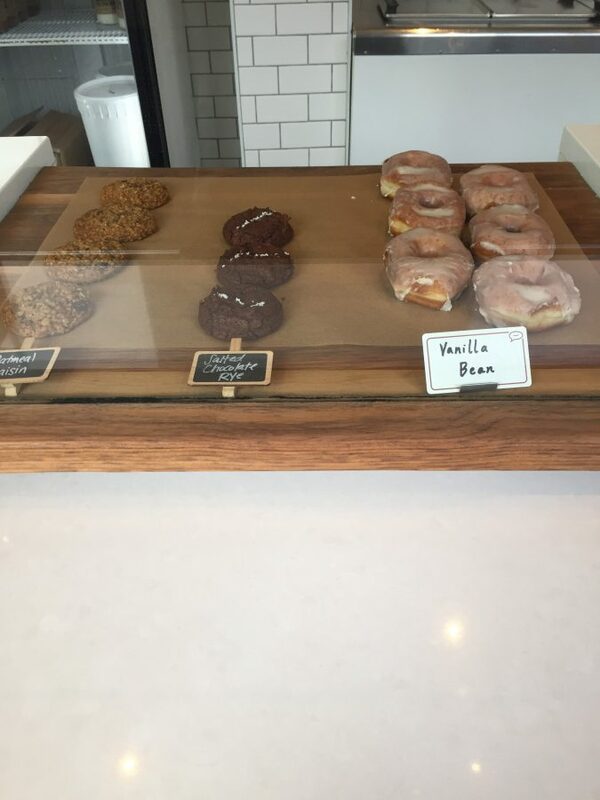 They offer a few vegan flavours every day and the day I was there ‘Vegan Chocolate’ and ‘Vegan Maple Walnut’ were the choices. 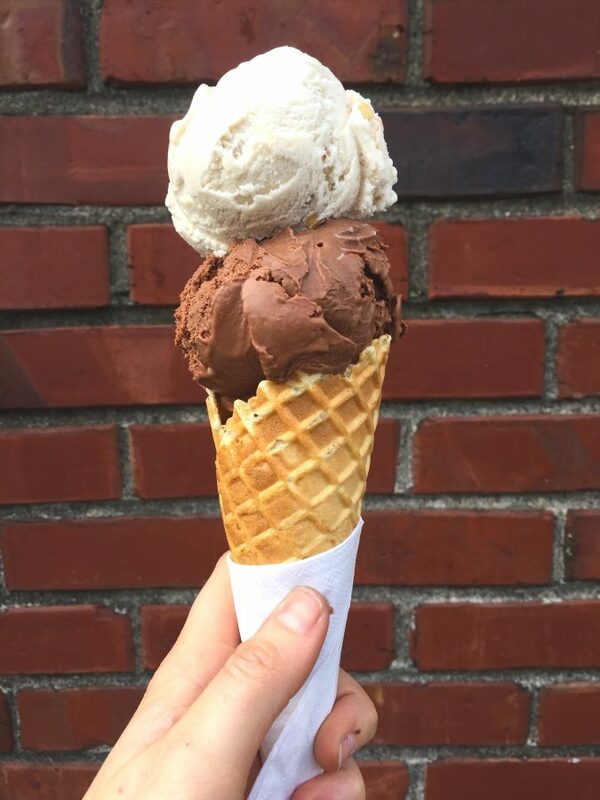 Obviously I couldn’t choose so I quickly got a double scoop (one of each flavour) on a vegan waffle cone. I was honestly in heaven when I had my first taste. The ice cream was sooo rich and creamy with the perfect amount of sweetness. I begrudgingly shared my cone with Jared and he said he would have never ever guessed that there was no dairy in that ice cream. Kudos, Earnest Ice Cream, you have created a masterpiece. I can’t wait to head back and try some more of your plant-based flavours. 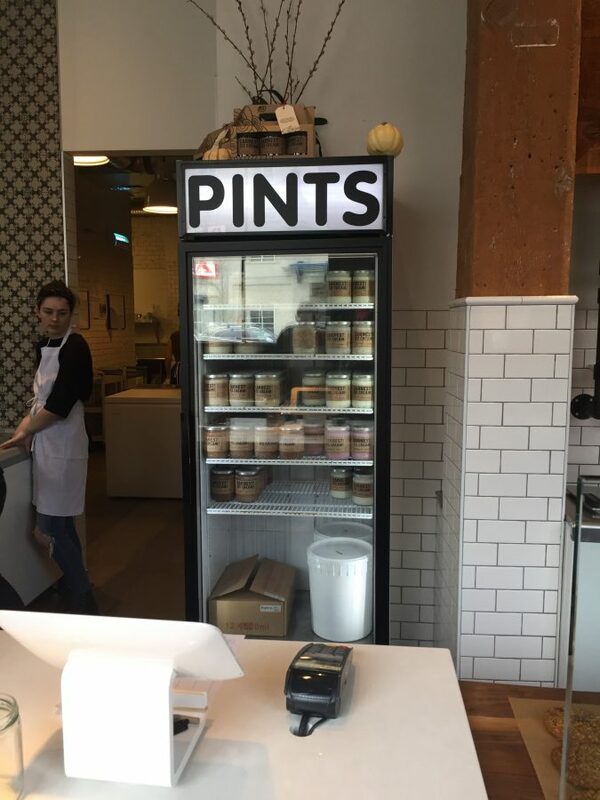 They also sell pints of ice cream and I may have to invest in a couple of those as well…in case of emergency, y’know. 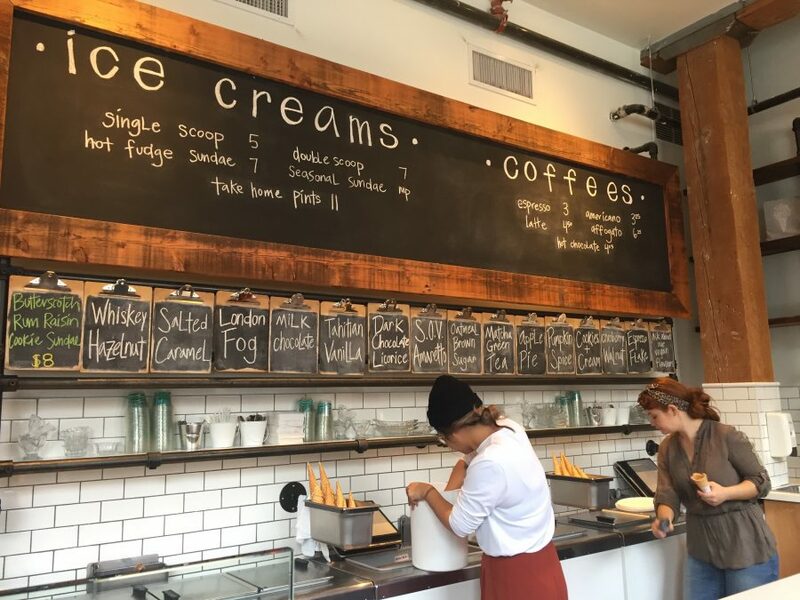 I should also quickly mention that Earnest Ice Cream is an environmentally conscious business, selling their pints in washable, reusable glass containers and sourcing mostly local ingredients. They work with BullFrog Power to source green electricity and have partnered with Climate Smart to measure and reduce their carbon footprint. They have a goal of becoming a zero waste company in the future… HOW COOL IS THAT!? You can read more about their environmental commitment here.